Bill Bailey's Spicy Smoky Sweet Pollo Asado Sub with Sweet Potato Fries. This is one hero of a sandwich, made easy with pre-seasoned Pollo Asado, lettuce, onion, tomato and the zing of gochujang chile paste. Preheat your oven to 425ºF. In a large mixing bowl combine the sweet potatoes, olive oil and smoked paprika. Season with salt and pepper and toss to coat. Arrange in a single layer on a baking sheet and roast until golden brown and tender, tossing once during cooking, about 20 minutes. 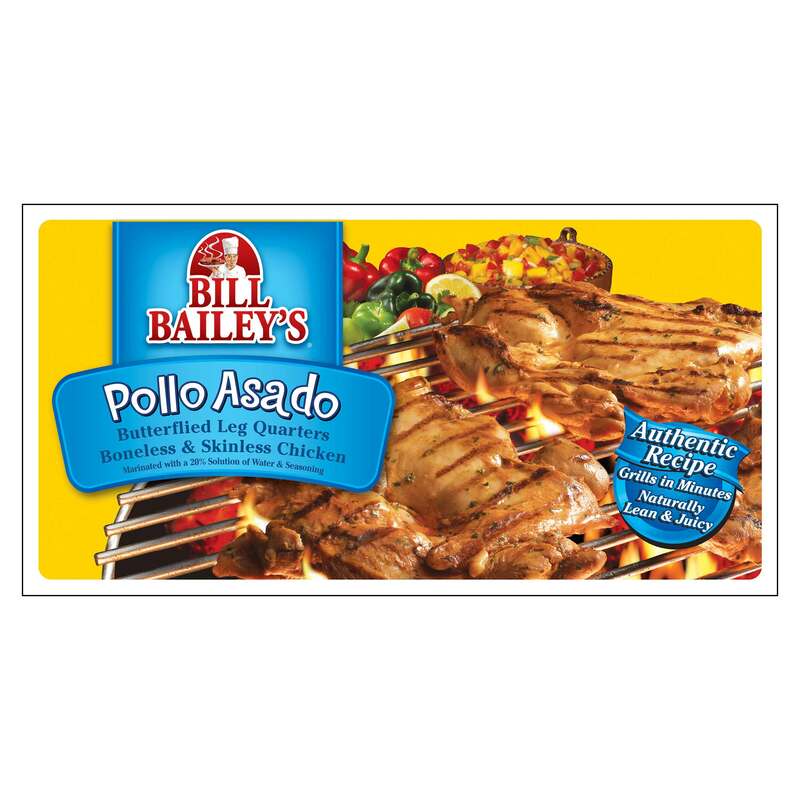 Preheat your BBQ to high heat and grill the Pollo Asado for about 5 to 7 minutes, turning every 2 to 3 minutes or until cooked through to 165ºF internal temperature. Loosely cover with foil and allow to rest for 3 to 5 minutes before slicing. To make the sauce, in a mixing bowl combine the mayonnaise and Gochujang and whisk to blend well. To assemble the sandwich, lightly toast the sandwich rolls and liberally spread top and bottom with the sauce. Top the bottom bun with a handful of arugula, a slice of onion and a slice of tomato. Top with Pollo Asado. Serve the sandwiches with the Sweet Potato Fries.